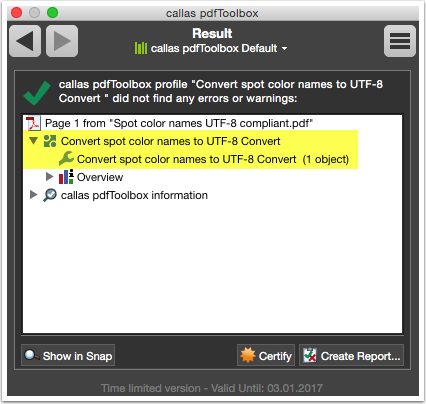 To make spot color names UTF-8 compliant, pdfToolbox 8.3 introduces the Fixup "Convert spot color names to UTF-8". This tutorial explaines how to make the spot color "Grün" UTF-8 compliant. The spot color name "Grün" isn't UTF-8 compliant. 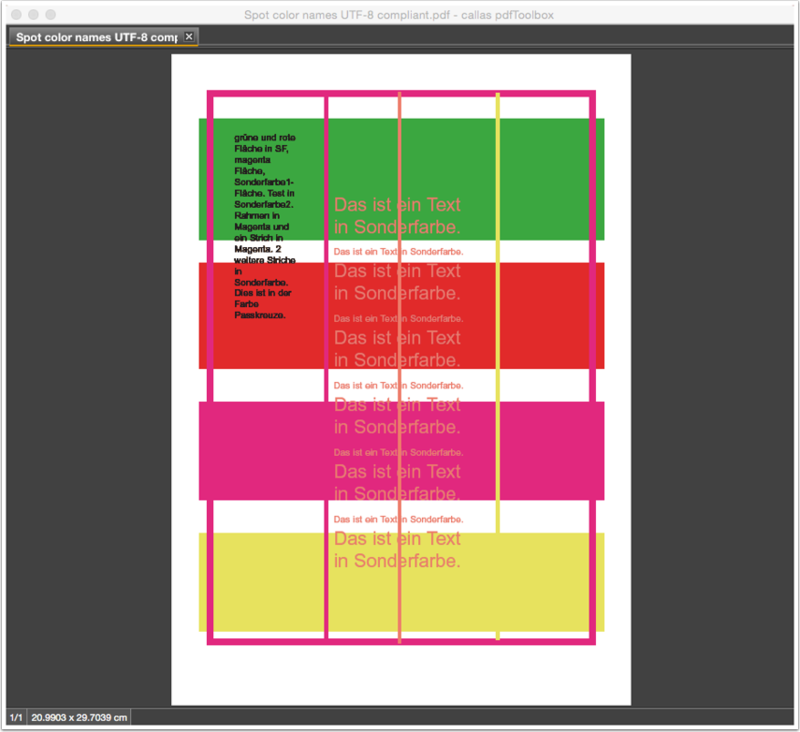 So in Adobe Acrobat Output Preview the spot color name isn't correct shown. Especially the use of umlauts, accented letters or letters from other writing systems, it is necessary to represent all characters by Unicode for having a clear display and processing. 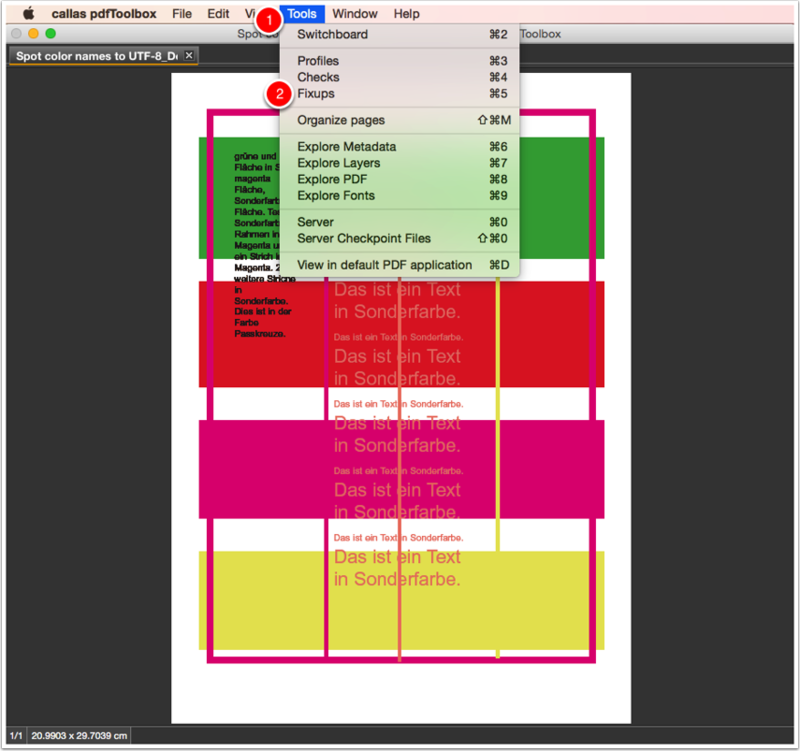 In PDF files, this is done for font and spot color names by using UTF-8. 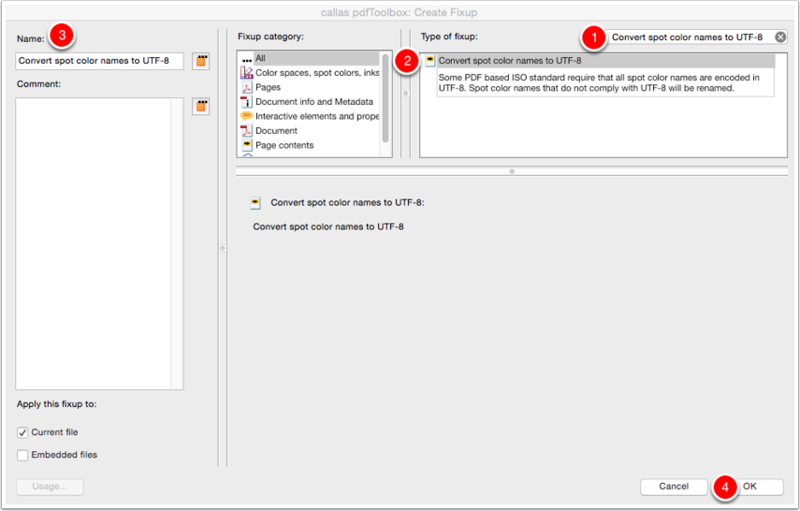 Open the PDF file "Spot color names to UTF-8_Demo file.pdf"
In the search field search to "Convert spot color names to UTF-8". 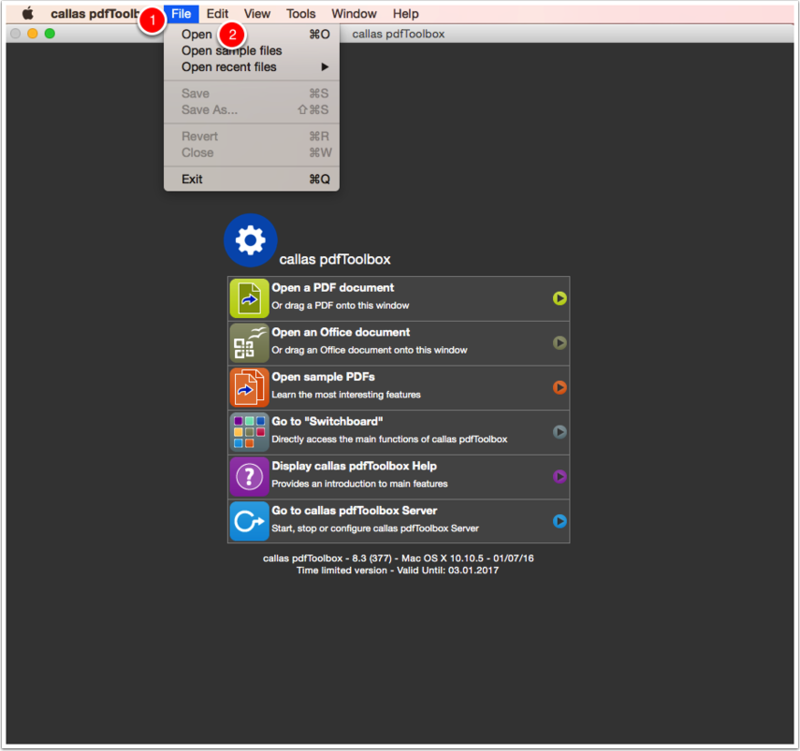 Select the Fixup "Convert spot color names to UTF-8". 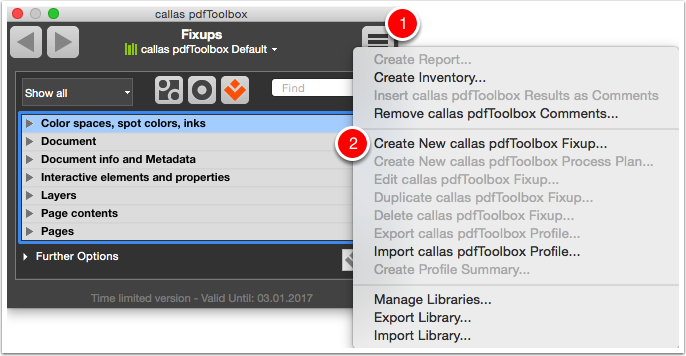 Change the Fixup name to "Convert spot color names to UTF-8". 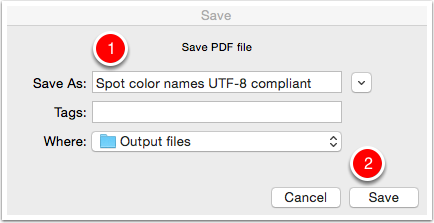 Save the PDF file as "Spot color names UTF-8 compliant". 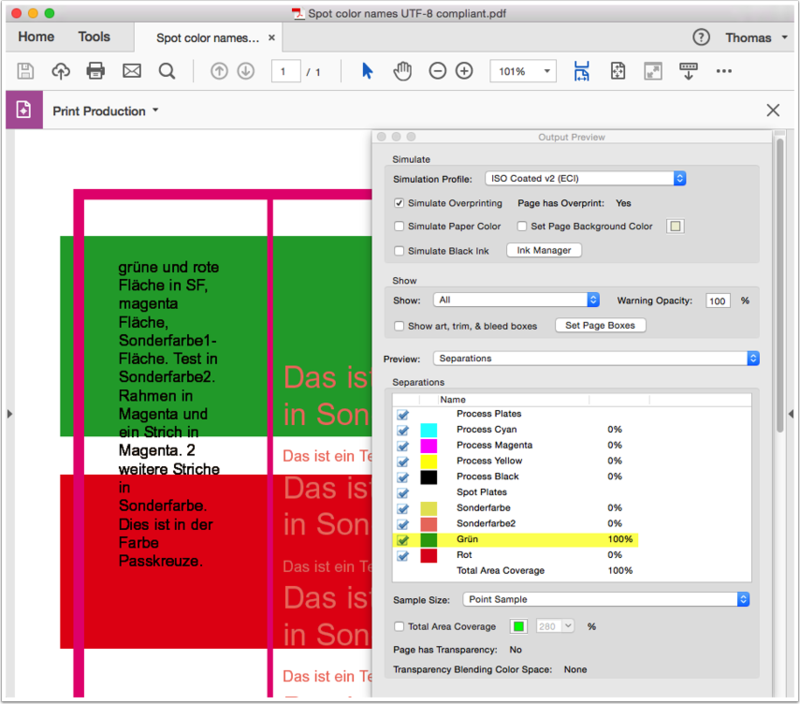 The spot color name "Grün" is now UTF-8 compliant, it shows correctly in Adobe Acrobat Output Preview.